“Some boys began to drink beer and whiskey, a few began to smoke marijuana” — so says a voice seemingly beamed in from a middle twentieth century nature documentary on the partying habits of young men. It’s an interesting sample, but perhaps a bit misleading. “A Few Began to Smoke”, the first track on Dfalt’s new self-titled album, kicks back but doesn’t get rowdy. An heir to hip-hop’s many inebriation anthems it is not. Producer, multi-instrumentalist, and current Los Angeles resident Jason Drake began to make music under the Dfalt moniker before he had even officially set aside his original project, Cassettes Won’t Listen. Between roughly 2005 and 2012, Cassettes Won’t Listen released three albums, five EPs, a number of other tracks, including covers of INXS’ “Need You Tonight” and the Cure’s “Let’s Go To Bed”. He also did a slew of remixes for artists ranging from Daft Punk to Aesop Rock to Asobi Seksu. With each successive record, Drake’s music moved away from its initial indie impulses and became increasingly beat-centric. The occasional Postal Service comparisons that Cassettes Won’t Listen’s 2008 debut, Small-Time Machine, received weren’t necessarily off the mark, but by EVINSPACEY in 2011, it was becoming clear that Drake’s creative outlet was moving more toward the kind of music he worked with during the day. In addition to co-founding the fashion and art label Daylight Curfew, Drake has been Director of Marketing for Def Jux and Digital Marketing and Merchandising Manager for Run The Jewels. Knowing this background is perhaps helpful because it provides a context in which to better understand that Drake’s shift from Cassettes Won’t Listen to Dfalt didn’t come out of leftfield. That isn’t to suggest that musicians and artists can’t change things up at random as they go along — bands like Blur used to switch gears with every successive album. In fact, Drake feels more relaxed and at home in the realm of instrumental hip-hop. 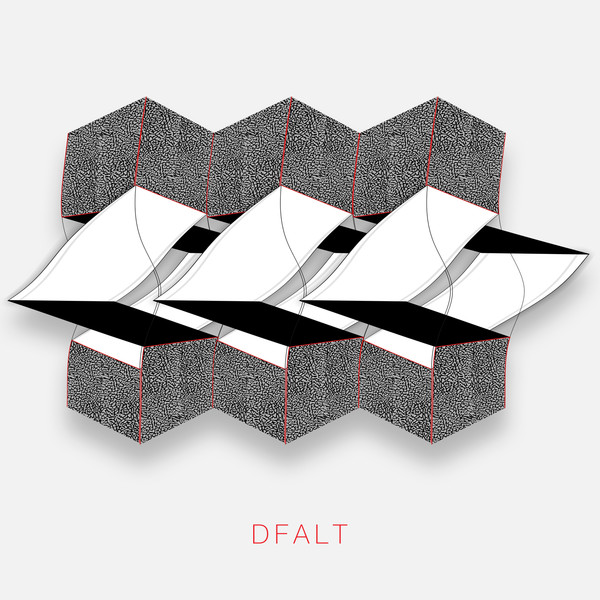 Dfalt’s 2013 debut full-length, Helsinki Beat Tape Part One, felt like a reinvigoration. One of a few notable differences between Cassettes Won’t Listen and Dfalt was Drake’s removal of his vocals from the music. Drake’s previously established manner of singing would have definitely needed some retooling in order to fit in with Dfalt’s chopped up bounce, but it also turned out to not be a necessary part of the formula. Drake’s knack for a well-placed sample or a synth line give the ten tracks on Dfalt all the hooks they need without having to make the songs ‘about’ anything, allowing the listener’s imagination to roam freely. Drake has an expressed fondness for the early- to mid-‘90s rap and hip-hop that he grew up listening as a kid growing up to the Bay Area station, 106.1 KMEL – but how that plays out in practice on Dfalt has more to do with its underlying spirit and some of the retro equipment he uses on the record, including an old Roland 303 and a Casio SK-1. The album isn’t a memory lane trip through the glory days, but it does roll, snap and twitch with freedom from expectation. Dfalt isn’t altogether in a different arena from the kind of artists that Drake spends his days working with, but it is more observational than it is aggressive. It doesn’t seek to control its environment; it soaks in its surroundings and reinterprets experience. More so than the beats, the hazy, low-lit atmospheres that he envelops them in give some suggestion of less mainstream influences. “We Used To Be Broken” whistles and glows with the sunset pastoralism of Boards of Canada. A few tracks here seem to tip their hat to the Scottish duo in at least a small way. Other tracks illustrate that just because he’s distanced himself from electropop doesn’t mean that Drake is shunning melody for mood. “Light Bright Love Letters” sways back and forth between a loping keyboard line and a soulful echoing vocal sample, each trading off the job of keeping the sunny vibesgoing. Though the second half starts out noticeably more downbeat than the first, it picks up in the back end of “Fist 101”, where those ‘90s rap influences rise to the surface until the glitch, skittering “Bath Tub” draws the record to a close. Dfalt is a consistent and confident step forward for Drake, enough so that it might be worth considering hanging around in this particular mode for a while longer. Ian F. King writes about music and other subjects. He is a regular contributor to Stereo Subversion, and his writing has appeared in Nylon, Slice Magazine, Volume 1 Brooklyn, Line - A Journal, Hobart, Pindeldyboz, Take the Handle, and other places. He is also the book reviews editor for KGB Bar Lit Magazine, and keeps an experiential music blog called Dear Jerks. He lives in Brooklyn with his wife and cat. Please visit him at ianfking.com.